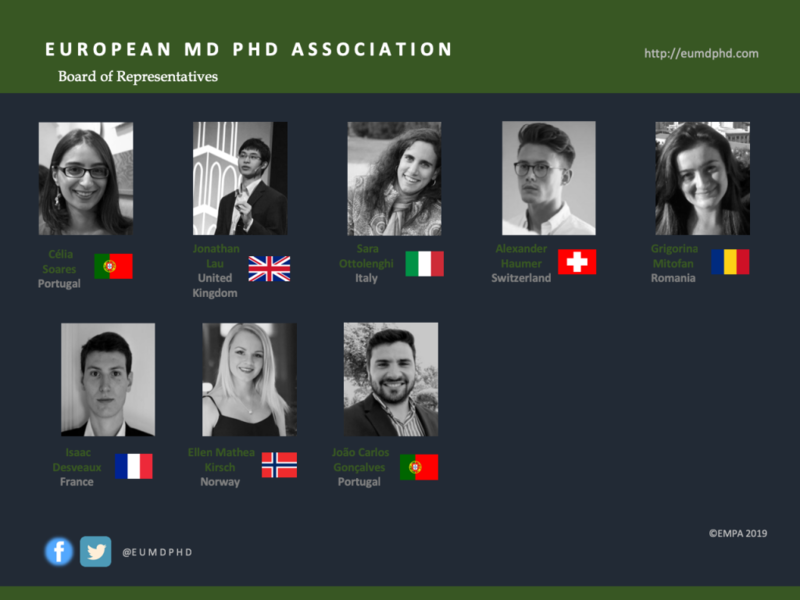 The Board of Representatives consists out of enthusiastic MD/PhD candidates who are the direct line between the EMPA and the candidate’s medical school and country. This board advises the Executive Board on issues of European scale from the individual perspective of each member. This, in turn, allows for smoother communication with the European medical schools.